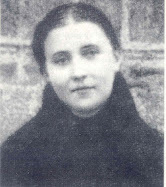 "The Little Flower & the Gem of Christ"
While St Therese of Lisieux "the Little Flower" is known and beloved by Catholics the world over, her contemporary St Gemma Galgani "the Gem of Christ" is hardly known, despite the fact that they share remarkable similarities. However, when we compare the similarities (and differences) between St Therese and St Gemma, we can then understand better the difference in popularity between the two. 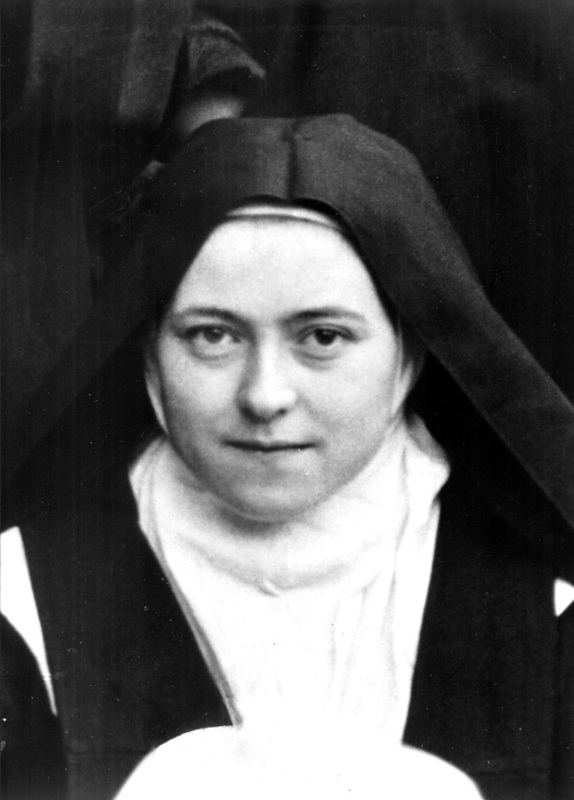 so it is very natural and understandable then that the spiritual life of St Therese would be more attractive to most. 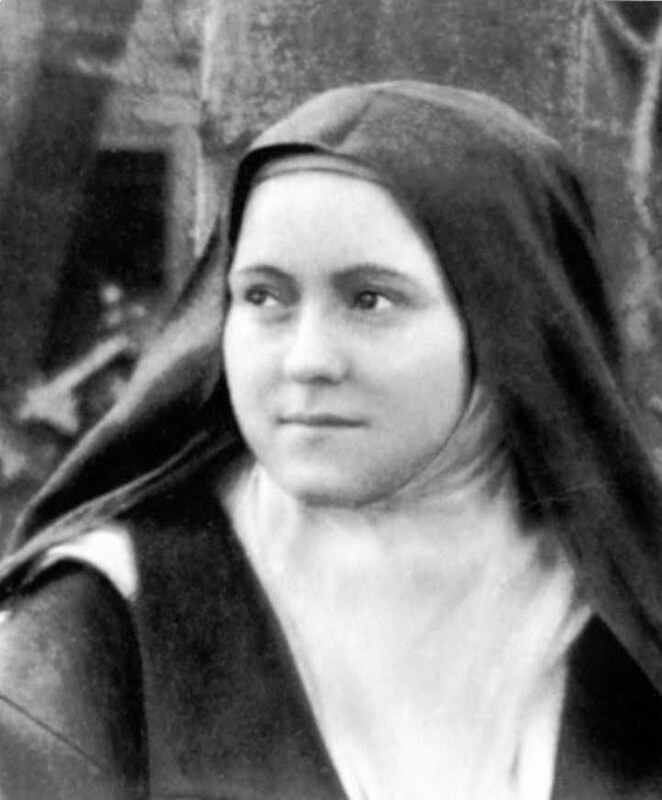 However, the similarities between St Therese of the Child Jesus and St Gemma are also very striking. Firstly, Therese and Gemma were contemporaries, and were born only 5 years apart; Therese in 1873 and Gemma in 1878. Also, they died only a few years apart; Therese died in 1897 and Gemma died only 7 years later in 1903. Remarkably, they both died of tuberculosis, Therese at the age 24 and Gemma at age 25. In actuality there was only 4 months difference in their ages for St Therese lived to be 24 years, 9 months, and Gemma lived for 25 years, 1 month. They both lost their mothers at a tender age- Therese lost her mother when she was only 4 1/2 years old, and Gemma lost her mother when she was 8 1/2 years old. Both strongly desired to enter the religious life at a young age and they both received their First Holy Communion at a young age- Gemma was only 9 and Therese was only 11--This was very uncommon for during this period of time which was before the decision of Pope Pius X who declared soon afterwards in 1910 to lower the age of First Communion from the average at that time of age 13, to the "age of discretion", which is normally age 7. And finally, they both were requested under obedience to write Autobiographies towards the end of their lives. -They were born only 5 years apart, Therese in 1873 and Gemma in 1878. -Both Therese and Gemma lost their mothers during their early childhood. -Both received their First Holy Communion early thru exceptional circumstances. -They died only 5 months apart in age. 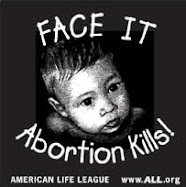 -Both strongly desired to enter the religious life at a very young age. Reflecting upon the First Holy Communion of Gemma and Therese we shall soon find the meeting point where these two remarkable Saints converge- in their extraordinary love for God. We will begin in Gemma's Autobiography where she begged her Confessor, Monsignor Volpi, to allow her to make her first Communion. "You are too young," he repeatedly replied. But in her great love for Jesus Gemma would not be dissuaded. She declared to him, to the religious sisters at the school that she was attending and to others, "Give me Jesus and you will see how good I will be: I will not sin again. I shall be quite changed!" Eventually her desire became all consuming. Her wise pastor recognized that there was "no alternative but to admit her to holy Communion; otherwise we will see her die of grief." During her retreat in preparation for first Communion, the preacher, Fr. 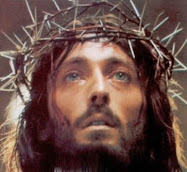 Raphael Cinetti, stated that "He who eats of Jesus will live of his life." Concerning this she wrote in her autobiography, "These words filled me with much consolation and I reasoned with myself: Therefore, when Jesus comes to me I will no longer live of myself because Jesus will live in me. And I nearly died of the desire to be able to say these words soon, 'Jesus lives in me.' Sometimes I would spend whole nights meditating on these words, being consumed with desire." In 1887, at age nine, on the feast of the Sacred Heart she received the Love of her life in Holy Communion for the first time. She innocently said to one of her friends afterwards, "I feel a fire burning here," and pointed to her breast. "Do you feel like that, too?" She couldn't fathom that there was anything exceptional in her own experience. On this most special day she made certain resolutions, which showed her deep and fervent love for Jesus. The first two were specifically about the Eucharist: "I will receive Confession and Communion each time as though it were my last, and I will visit Jesus in the Blessed Sacrament often, especially when I am afflicted." Her love for Jesus in the Eucharist only grew the more she received the Lord as if it were the last time. She would write later to Jesus in prayer, "What would become of me if I did not dedicate all my affections to the Sacred Host? Oh yes, I know it, Lord; that in order to make me deserve paradise in heaven, you give me Communion here on earth!" She would call the Eucharist "the school of paradise where one learns how to love." In a passage that would be good for all of us to contemplate, she wrote to her spiritual director, Father Germanus: "Oh, what precious moments are those at Holy Communion! Communion is a happiness, Father, that seems to me cannot be equaled even by the beatitude of the saints and angels. They admire the face of Jesus, and are certain of not committing sin or of being lost; and I admire those two things, and I should like to be of their company, but I, too, have reason for exulting, for Jesus enters everyday into my heart. Jesus gives me all of Himself!" "Dear Father, I do not know how to tell what passed between Jesus and me at that moment. Jesus made himself felt very strongly by my poor soul. I understood at that moment that the delights of heaven are not like those of the earth. I felt myself overcome by the desire to unite with God continually. I felt weary of the world more and more, and more disposed to recollection. It was that same morning that Jesus gave me the great desire to be a religious." Concerning her first Holy Communion, St. Thérèse wrote in her autobiography, "The Story of a Soul," how, like Gemma, she too fervently longed to receive Jesus in Holy Communion. "How lovely it was, that first kiss of Jesus in my heart — it was truly a kiss of love. I knew that I was loved and said, 'I love You, and I give myself to You forever.' Jesus asked for nothing, He claimed no sacrifice. Long before that, He and little Thérèse had seen and understood one another well, but on that day it was more than a meeting — it was a complete fusion. We were no longer two, for Thérèse had disappeared like a drop of water lost in the mighty ocean. Jesus alone remained — the Master and the King. Had she not asked Him to take away her liberty, the liberty she feared? She felt so weak and frail that she wanted to unite herself forever to His Divine Strength. "And her joy became so vast, so deep, that now it overflowed. Soon she was weeping, to the astonishment of her companions, who said to one another later on: 'Why did she cry? Was there something on her conscience? Perhaps it was because her mother was not there, or the Carmelite sister she loves so much.'" "It was beyond them that all the joy of Heaven had entered one small, exiled heart, and that it was too frail and weak to bear it without tears. As if the absence of my mother [who had died previously] could make me unhappy on the day of my First Communion! As all Heaven entered my soul when I received Jesus, my mother came to me as well. Nor could I cry because you [her older sister who was a Carmelite, at whose command she was writing the autobiography] were not there, we were closer than ever before. It was joy alone, deep ineffable joy that filled my heart." My happiness was perfect, and nothing troubled the inward peace of my soul. Night came, and so ended that beautiful day. Even the brightest days are followed by darkness; one alone will know no setting, the day of the First and Eternal Communion in our true Home. Somehow the next day seemed sorrowful. The pretty clothes and the presents I had received could not satisfy me. Henceforth Our Lord alone could fill my heart, and all I longed for was the blissful moment when I should receive Him again. I made my second Communion on Ascension Day, and had the happiness of kneeling at the rails between Papa and Marie. My tears flowed with inexpressible sweetness; I kept repeating those words of St. Paul: "I live now, not I; but Christ lives in me." After this second visit of Our Lord I longed for nothing else but to receive Him. Alas! the feasts [the times in between receiving Communion] seemed so far apart..."
And comparing these quotes of Sts. Therese and Gemma we can readily see the point in which the two Saints converge: Their intense love and devotion to God. St. Therese "the Little Flower", pray for us! St Gemma, "the Gem of Christ", pray for us! I am very happy for this section of you website comparing St. Therese and St. Gemma. I feel that you also have an admiration of the Little Flower. St. Gemma and St. Therese are two saints who have a very special part in my life and in my conversion. Through Saint Therese, I have learned to approach God as a little child do with his parents and through St. Gemma, I have learned more about God's love because she lead me to know more deeply His passion. May God continue to bless us through our dear Therese and Gemma's intercession. Thanks for your kind comments. I am really glad to hear that you enjoyed this article. Like you, St Therese and St Gemma were very instrumental in my spiritual life and formation. Saints Therese and Gemma, pray for us! And also, in another article somewhere, which I do not remember, I read that the saint, while going to the church, because of her weird reputation (some people thought that she was mentally ill, maybe because of her piety, she was thought to be a fanatic), was insulted by the boys in the street and one even spat on her face, to which her heroic humility was demonstrated by not giving the slightest expression of anger when she stared at the bullies. I really do not know if there are truths in these stories about her. I just thought of asking since, for me, you are like a great scholar on Saint Gemma because of the great range of research and books that you have read about her. Thank you. I hope that you could give me some light regarding these. Just the same, I still love St. Gemma and she was one of my spiritual best friends. It is nice to hear from you again. Concerning your first question about the broken rosary, I have never read this. There is another similar "story" I once read on the internet where the writer stated that Gemma allegedly spat on a crucifix during a moment in which she was allegedly "posessed". I can say this: In the "Resources" section of this website you will see the article entitled "Books used for this website". This is the list of books that I have used for this website--There are about 17 total and I have read all of them, yet I have never read about this alleged broken Rosary incident, or the other one that I mentioned. While it is possible that this incident actually occured, it is not documented in any of the numerous books that I have. About Gemma ever being possessed by an evil spirit(s), my reading of the events is that she was very often oppressed and attacked by the demons (vexed as some might call it), but never to the extent where it was internal, that is, where her self control was taken over, as seen with those possessed. Now the second incident that you mentioned- concerning the boys teasing her about the way she dressed and spitting in her face--this story definitely happened and was told by her friend who happened to be accompanying her on the street that day. "Once while making her way homewards with downcast eyes from one of the city churches, with her battered black straw hat, black dress and mantle, and a little crucifix on her breast, a number of young boys were playing on the street as she passed. Suddenly they swarmed round the girl, tugging roughly at her clothing, shouting insults and words of derision, while some bolder one's even spat in her face. She showed no sign of resentment and, when some passers-by rescued her, she went her way with a quiet word of thanks to those who helped her. It was not the first time her unconscious oddity of dress and manner had attracted the unwelcome attention of the street boys of Lucca. But the only comment she was ever heard to make was in a whisper to her frightened companion, "If the world despises me then I may hope to one day become a Saint." And again in this same everyday black woolen dress she went to her brother's Guido's wed­ding also...seeing her dressed that way, the bride yelled at Gemma and told her to "go away and not come back". And Gemma left without saying a word. A few days later she wrote a beautiful letter congratulating the newlyweds. I have all these incidents documented elsewhere on this website. I hope this answers you questions. Beautiful writing and connections between these amazing saints. Thank you for the article. 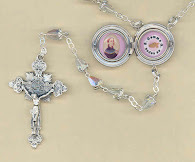 The reason why I'm writing is to see if I can obtain a hi resolution image of St Therese at the top of this blog page? I've been wanting to print a copy for myself to be used for devotional purposes but haven't been able to find the right one. It is nice to meet you. I am glad to hear that you enjoyed the article. Unfortunately, I do not have a high resolution copy of this particular photo--I got it from a fellow webmaster--sorry I couldn't help. What is suitable to Little Flower is not suitable to me.Dont make Religions/Generalisations and Systems out of Individuals. I think both women are so remarkable in their own ways. How true the Bible verse - "There are many gifts, but always from the same spirit. There are different kinds of service, but always to the same God." Just by observing their photographs, one can seem the manifestation of this verse. Both saints have similar expressions on their face - piercing and soul searching - but it is translated differently as they have different personalities. St Therese looks rather mischievous and playful in her photographs, "as if she was hiding a little secret", as some would describe it. St. Gemma seems gentle and wise. Yet, you can feel Jesus in both of them. Obeying Jesus' commands is the only way to get to heaven. I love St. Theres's autobiography because she helps me to understand Jesus' words. 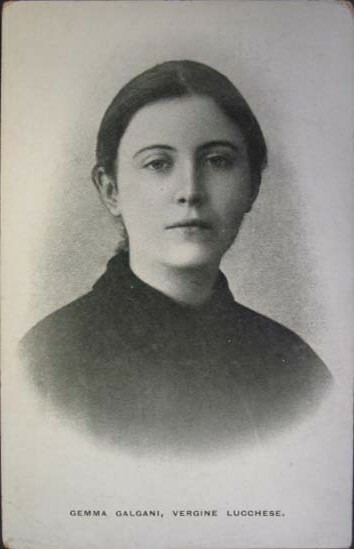 I should like to read St. Gemma's autobiography, but I don't know what it is called, or where to find it. Not sure if you have found it. It is called the life of st Gemma Galgani by Fr Germanus. from each of their Mothers.